Embark on a thrilling adventure of deception and intrigue alongside a mysterious assassin. Infiltrate an estate far from Kirkwall and battle deadly new enemies with the help of Tallis, a new party member voiced by Felicia Day. Includes: (1) Hours of adventuring spread across several brand-new areas. (2) Impressive new equipment for every member of your party. To begin, return to your house in Kirkwall and look for the Memento of Mark of the Assassin. Visit www.dragonage.com/da2/addons to learn more. REQUIRES LATEST TITLE UPDATE FOR DRAGON AGE II (installed automatically if you play while connected to Xbox LIVE). Embark on a thrilling adventure of deception and intrigue alongside a mysterious assassin. Infiltrate a Orlesian estate outside Kirkwall and battle deadly new enemies with the help of Tallis, a new party member voiced by Felicia Day. When tales are told of the greatest mages who ever lived, one is always mentioned - Aldenon the Wise. With magic and guile, he helped guide Calenhad, a young squire, to be crowned first king of united Ferelden. Later he nearly brought the newly formed Circle Tower to its knees. His mystic artifacts are only given to those worthy of his legacy. Now it is your turn. This item pack includes new armor, weapons, and accessories for use by your mage Hawke and mage party members. NOTE: THIS ALL-CLASS ITEM PACK INCLUDES THE CONTENTS OF MAGE PACK II, ROGUE PACK II, AND WARRIOR PACK II, EACH OF WHICH ARE ALSO AVAILABLE SEPARATELY. Have it all with this combined collection of arms, armor, and accessories for Hawke and your party members. For decades, Ferelden was held captive. The land's freedom was secured in time, but the rebel king did not act alone. Many scoundrels worked to free the kingdom, and then to shape it. Loghain was a notorious bandit before he turned general. Duncan was little better before he joined the Wardens. Now, their powerful relics can be yours! This item pack includes new armor, weapons, and accessories for use by your rogue Hawke and rogue party members. From the frozen heights of the Frostbacks to the murky swamps of the Korcari Wilds, there the barbarians of Ferelden dwell. They have fought off empires, led holy wars, and conquered Blights. Contained within are the strongest arms and armors of their stalwart heroes. Take their might for your own as you carve out your destiny in Kirkwall! This item pack includes new armor, weapons, and accessories for use by your warrior Hawke and warrior party members. A vicious criminal cartel is hunting "the blood of the Hawke." To end their attacks, you must venture outside Kirkwall to investigate a prison constructed by the Grey Wardens in ages past. You will uncover the harsh truths about the Hawke lineage as your journey brings you face to face with an ancient horror. Includes: (1) Hours of adventuring spread across several brand-new areas. (2) New enemies to battle including genlocks, brontos, and an epic boss fight. (3) A powerful class-specific weapon to which you can apply upgrades of your choice. To begin, return to your house in Kirkwall and look for the Memento of Legacy. Visit www.dragonage.com/da2/addons to learn more. REQUIRES LATEST TITLE UPDATE FOR DRAGON AGE II (installed automatically if you play while connected to Xbox Live). Collected here are the storied items of the greatest scoundrels the Dragon Age setting has known. Dashing liars and murderous shadows—the best and worst that rogues offer. Add to the legacy, or just enjoy the fact that as good as they were, you have their stuff. This item pack includes new armor, weapons, and accessories for use by your Rogue and Rogue followers. NOTE: THIS ALL-CLASS ITEM PACK INCLUDES THE CONTENT OF THE MAGE ITEM PACK, ROGUE ITEM PACK, AND WARRIOR ITEM PACK, EACH OF WHICH ARE ALSO AVAILABLE SEPARATELY. Have it all with this combined collection of arms, armor and accessories for you and your followers. The original owner of this priceless collection was an Orlesian chevalier who was stabbed in the heart thirteen times. His prized possessions were taken from him at the time of his death, and since then, anyone who has claimed a piece of his stolen property has met a gruesome and untimely end. Each piece of this collection would make a princely gift for a warrior in your company. But would you tempt fate, and risk the wrath of a man murdered in cold blood? This item pack includes a collection of arms, armor and accessories for your Warrior and Warrior followers. The story of the Hawke family began with the forbidden love of a fugitive mage hiding from the Chantry, and the noblewoman who abandoned her life of power and privilege to flee across Thedas with the man she loved. These mementos of Malcolm and Leandra Hawke’s adventures have now passed to their children. Take up the family legacy, and write your own chapter of the Hawke family tale. This item pack includes relics and mementos of untold power for use by your Mage and Mage followers. 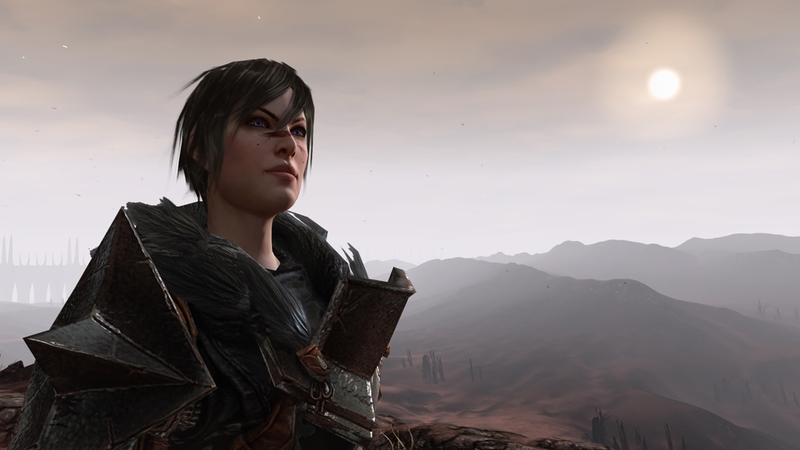 Embark on an all-new adventure in the Dragon Age saga. You are Hawke, one of the few to survive the destruction of your homeland. Now, forced to fight for survival, you must gather the deadliest of allies, amass fame and fortune, and seal your place in history. Download this launch trailer for a look at what the critics are saying and the action-packed gameplay that awaits you in Dragon Age II. Adventure alongside Sebastian Vael, an archer of noble birth, as he seeks revenge for the brutal murder of his family. Aid him in his quest, and direct his righteous wrath on your enemies. Sebastian is a full companion character, complete with his own series of side missions. 'The Exiled Prince' is available now for purchase. 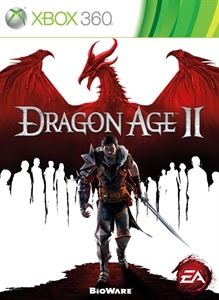 Download the highly anticipated Action/RPG Dragon Age II right now! Engage in action-packed and immersive gameplay with dynamic new combat mechanics that allow you to think like a general and fight like a Spartan! A whole realm awaits your discovery, rendered in stunning detail with updated graphics and a new visual style. Go deeper into the world of Dragon Age with an entirely new cinematic experience that grabs you from the very beginning in an adventure that shapes itself around every decision you make. With the entire world on the brink of war, you are the only one who can hold it all together. The legend of your rise to power begins now. Sworn to the priesthood as a boy, the noble archer Sebastian Vael is thrust back into the viper's nest of princely politics when his family is brutally murdered, leaving him as the sole surviving heir. Adventure together through three new missions as you choose to either avenge Sebastian's murdered family and reclaim his title or direct his holy vengeance on your enemies in Kirkwall. 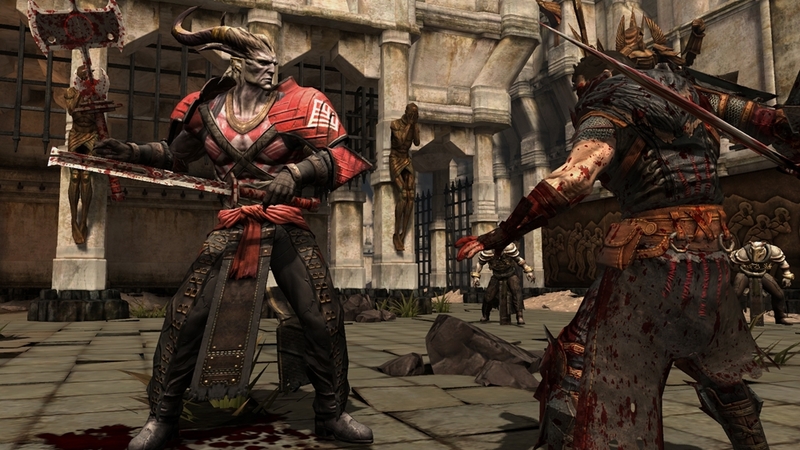 Purchase The Exiled Prince today to employ this full Dragon Age II follower's unshakable loyalty and excellent aim. Visit www.dragonage.com/da2/addons to learn more. 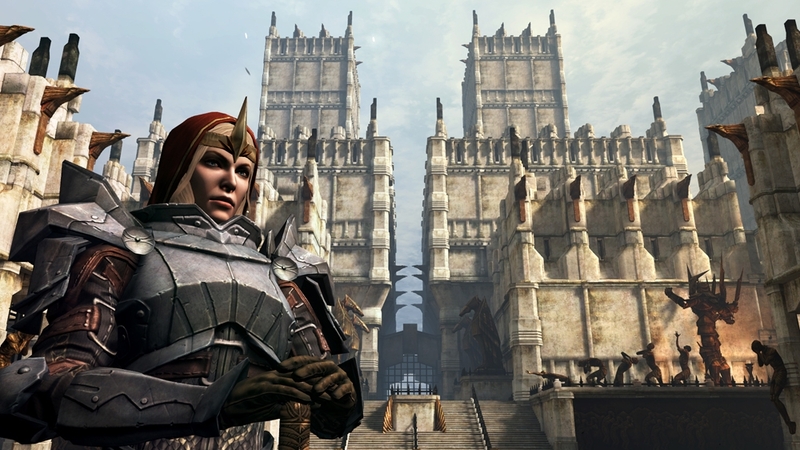 NOTE: The Dragon Age II Games on Demand edition includes “The Black Emporium” DLC. Come one, come all to the Black Emporium! There, nestled deep under Kirkwall, you'll find a curious collection of items—some for sale, some for free, and ranging from the mundane to the mysterious! One artifact can even transform your very body, face, hair, eyes—all new! Act now to receive your very own mabari war hound that you can call to your side with a whistle—a boon in battle and a beloved pet at home. Purchase the Black Emporium today, or download it for free as part of your Online Pass, and you’ll be the envy of adventurers everywhere! Once you’ve escaped imminent danger, return home. Your invitation awaits! Visit www.dragonage.com/da2/addons to learn more. Choose your champion. Will you be agile and vicious, tough and unstoppable, or unleash a magical onslaught to annihilate your foes? The Champions epic journey from refugee to legend begins with your class selection. Watch this trailer to get a preview of your options. The armor of the Champion. Let the templars worry about polish and posture; this is gear for the warrior who gets things done. Inspire both dread and wonder with this armor designed for the elite of the elite. Agile and adaptable, this is the armor of a Champion who is equally at home in the streets or the halls of power. 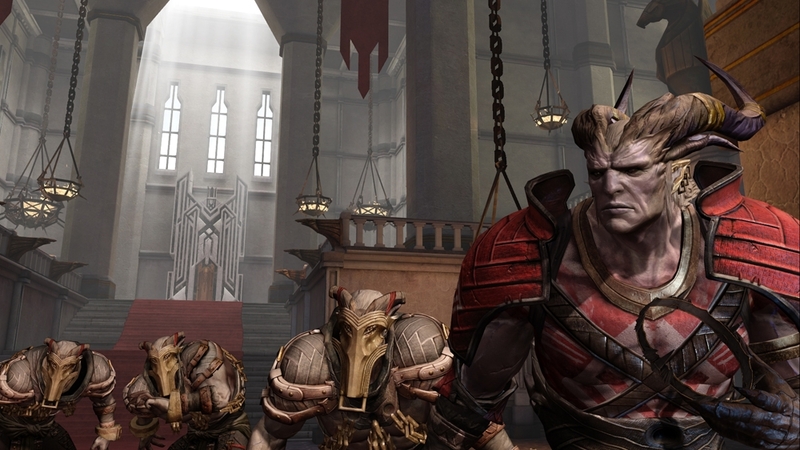 Meet the demands of the Qun in armor that is both imposing and stylish. Give your friends a fright! The Hurlock Head will have them shaking in their adorable boots. Accessorize with the best from the qunari homeland, Par Vollen. Perfect for glowering. Start your own Blight with this very scary Hurlock costume. One size consumes all.